Faizabad, Bahraich, Kaiserganj, Gonda constituencies in Uttar Pradesh will go to polls in the fifth phase of Lok Sabha elections on May 6. 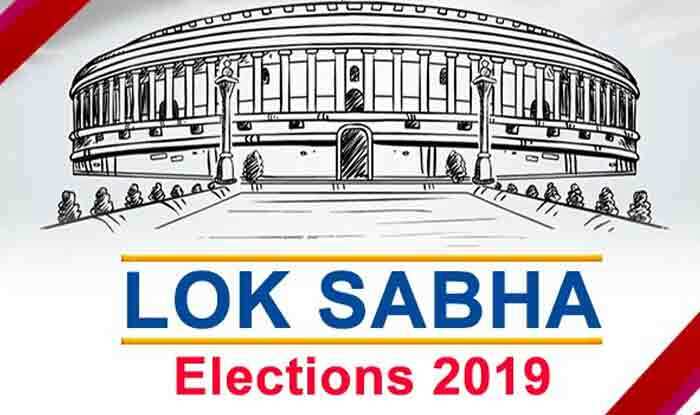 Lok Sabha Elections 2019: Uttar Pradesh will go to polls in all the seven phases for its 80 Lok Sabha seats, starting from the first phase on April 11 up to May 19. Let us take a look at the key details of Faizabad, Bahraich, Kaiserganj, Gonda constituencies in Uttar Pradesh which will go to polls in the fifth phase on May 6. The nomination for these seats will be scrutinised on April 20 and the final date of candidate’s withdrawal is fixed at April 22. The deadline for filing the nomination for the respective seats falls on April 18. Faizabad: This city is situated on the banks of river Ghaghra in Uttar Pradesh. The candidates contesting for this seat this year are Lallu Singh from BJP, Nirmal Khatri from INC and Anand Sen from SP. In the 2014 Lok Sabha poll, BJP candidate Lallu Singh had won the Faizabad seat. He is now the sitting MP from this parliamentary constituency. On the second spot was Mitrasen Yadav from the Samajwadi Party (SP) followed by Bahujan Samaj Party (BSP) candidate Jitendra Kumar Singh (Bablu Bhaiya). Bahraich: Bahraich is a city and a municipal board which is located on the Saryu River. The candidates contesting for this seat this year are Akshaywar lal Gaud from BJP, Savitri Phule from INC and Shabbir Valmiki from SP. In the 2014 Lok Sabha poll, BJP candidate Sadhvi Savitri Bai Foole had won the Bahraich seat. She is the sitting MP from this parliamentary constituency. The second spot was taken by Shabbir Ahmad from the Samajwadi Party (SP) followed by Bahujan Samaj Party (BSP) candidate Vijay Kumar. Kaiserganj: Kaiserganj constituency is divided into five Vidhan Sabha segments after the implementation of the delimitation. BSP has fielded two candidates for the Kaiserganj seat in the upcoming elections. They are Brijbhushan Sharan Singh, who is the current MP and Chandradev Ram Yadav. In the 2014 Lok Sabha poll, BJP candidate Brij Bhushan Sharan Singh had won the Kaiserganj seat. He is now the sitting MP from this parliamentary constituency. On the second spot was Vinod Kumar Alias Pandit Singh from the Samajwadi Party (SP) followed by Bahujan Samaj Party (BSP) candidate Krishna Kumar Ojha. Gonda: Gonda constituency is the administrative centre for the Devipatan Division. The candidates contesting for this seat this year are Kirtiwardhan Singh (BJP), Vinod Kumar Urf Pandit Singh (SP) and Krishna Patel (INC). In the 2014 Lok Sabha poll, BJP candidate Kirti Vardhan Singh had won the Gonda seat. He is now the sitting MP from this parliamentary constituency. On the second spot was Nandita Shukla from the Samajwadi Party (SP) followed by Bahujan Samaj Party (BSP) candidate Akbar Ahmad Dumpy.